This is a heavy duty tail bait from Brunnberg Lures and the XL-tail has an action that most certainly will triggering big pike and musky. 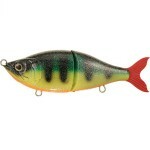 With a length of 37 cm (with tail stretched) and weighing in at 200 gr this is really a bait for those big fish. It has a soft role in the water and is slow sinking. 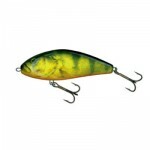 Category: Brunnberg Lures, Lure Videos, and Tailbaits. 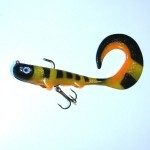 Tags: BB-Den Store, brunnberg lures, fishing video, lureacction, lurevideo, Tailbait, and underwater video.